While I have previously spoken about my book buying habits, I do have an ‘all or nothing’ tendency. I’m either flying through two books a week or I haven’t picked one up for months. I never stop wanting to buy them but I do get into a bad habit of not picking it up from time to time. My new love of podcasts meant my reading list suffered because I wasn’t reading on my commute from about October to Christmas. But now, I’ve found the right balance and I’m devouring books all over again, so it’s time for some more recommendations, both from what I’ve read and from what I’m already dying to read. Just in time for summer! This book is living proof that I often judge a book by its cover. I first heard an extract from this on The Book Show podcast and sought it out after that. I was also on a short story binge at the time so this one was particularly appealing. 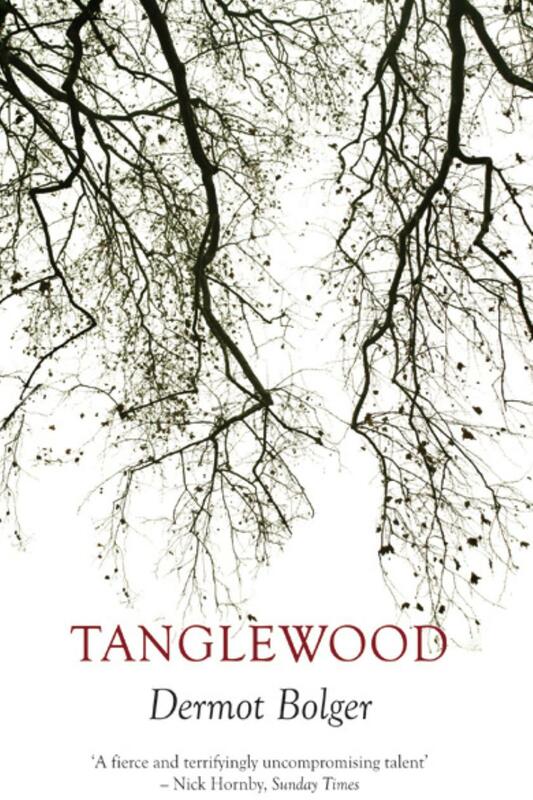 The stories are all breath-taking and tied together in one dystopian Ireland, but with an uneasy sense of realism. I’m looking forward to reading more by Oisín. This is a great reason to buy Irish writers and if you’re a fan of short stories at all, I recommend this. This got a mention on my autumn list and in the end it took me way longer than I intended to get around to it. But once I did, I devoured it in less than a week. 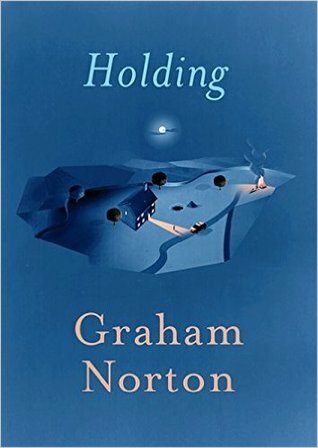 Much like Liz’s debut, Unravelling Oliver, this is the kind of book that you’ll end up pulling out of your bag in the queue at Tesco, just to find out what’s going to happen next. I was actually grateful for traffic some days so that I could get to the next part. This is a definite must-read, for both crime and thriller addicts and novices. Crime isn’t generally my thing but this is too gripping to resist. I had heard so much about this book before I picked it up and I have a serious love for all YA titles so I was delighted to finally get my hands on it. The chapters are incredibly short, so I found myself in that trap of, ‘oh, the next one’s only a couple of pages. I’ll just read that and go to bed’. Suddenly it’s 2am and you’re stuck between screaming at fictional characters and wondering how you’ll get up in the morning. 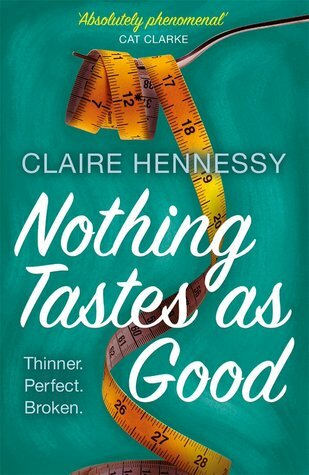 This book brilliantly shows the metal turmoil behind eating disorders and what it really means to be happy in your own skin. This one is not for the faint-hearted but I have been a lover of Stephen King for a long time and I love tense thrillers and horror books. 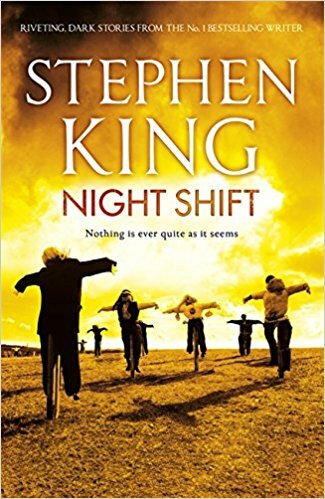 I like his novels but I prefer his short stories because I think short stories are incredibly powerful and if you’re into scary stories, Night Shift will give you immediate gratification, with 20 bone tingling short stories of various lengths. A film adaptation of Dave Eggers eerie novel is on its way to the cinemas this year. 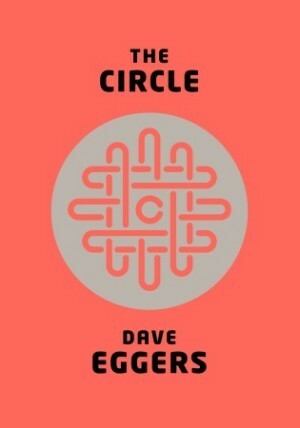 It’s based on a fictitious social media company that encourages its users and employees to share more and more of their lives and become one with ‘The Circle’. I read this a good while ago, but I was considering rereading it ahead of the film’s release because it was a great story, particularly in today’s social media-driven world. This is not a book I would have picked for myself, in fact I might not have even found it in a bookshelf. However, my dad got this book from a friend and really enjoyed it so it’s next on my list. When two neighbouring Dublin couples decide to cooperate in building a townhouse that straddles their gardens, they have no idea that its construction will expose the fault lines within their relationships – and lead to a panicked decision one night when the two husbands, Chris and Ronan, are confronted by a situation that could be catastrophic for their families. The consequences of their actions cast these law-abiding men adrift into unknown territory, propelled into a new moral landscape from which it seems impossible to return. I’ve been intrigued by this since it came out, and I’ve been told it’s a great one to go to after thrillers like Liz Nugent’s book. The remote Irish village of Duneen has known little drama; and yet its inhabitants are troubled. Sergeant PJ Collins hasn’t always been this overweight; mother of­ two Brid Riordan hasn’t always been an alcoholic; and elegant Evelyn Ross hasn’t always felt that her life was a total waste. So when human remains are discovered on an old farm, suspected to be that of Tommy Burke – a former­ love of both Brid and Evelyn – the village’s dark past begins to unravel. As the frustrated PJ struggles to solve a genuine case for the first time in his life, he unearths a community’s worth of anger and resentments, secrets and regret. This was one of the many books I have bought while I was left in a bookshop unsupervised for too long. I was taken by the cover and the blurb on the back. I hate that it’s taken me this long to get around to it but I plan to read it after Tanglewood and Holding. It’s the accident season, the same time every year. Bones break, skin tears, bruises bloom. The accident season has been part of seventeen-year-old Cara’s life for as long as she can remember. Towards the end of October, foreshadowed by the deaths of many relatives before them, Cara’s family becomes inexplicably accident-prone. 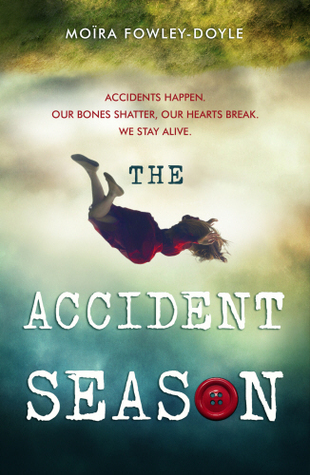 They banish knives to locked drawers, cover sharp table edges with padding, switch off electrical items – but injuries follow wherever they go, and the accident season becomes an ever-growing obsession and fear. 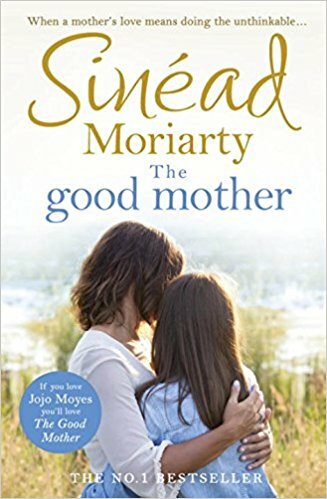 I adore Sinéad Moriarty and I’ve been tracking the online excitement of this book since before it came out. I love Sinéad’s writing and this book sounds like it will seriously hit me in the heart but I can’t wait to read it. Having been left devastated and homeless after her husband’s affair and the break-up of their family, somehow she has pulled through. Though times are still tough, she’s beginning to see the start of a new life. But when twelve-year-old Jesssica is diagnosed with cancer, Kate’s resilience is put to the ultimate test. She has an eighteen-year-old son consumed with hatred of his father, a seven-year-old who is bewildered and acting up and an ex-husband who won’t face up to his responsibilities. And in the middle of it a beloved child who is trying to be brave but is getting sicker by the day. Kate knows she must put to one side her own fear and heartbreak and do right by her children, particularly Jessica. But maybe doing the right thing means doing the unthinkable? I like books that have similar covers to their predecessors, even if the books have nothing to do with each other. It comforts me in the knowledge that I’m signing up for similar enjoyment. I loved The Girl With All The Gifts by MR Carey so I’m looking forward to this one too. I bought this book for Claire for Christmas and she loved it and has strongly advised me to add it ‘to be read’ list. Claire has always been a big fan of Harriet Evans and this one is her new favourite. She said it’s a wonderful, enthralling story, full of twists and turns, and it will keep surprising you until the end. You follow the hidden creek towards a long-forgotten house. They call it Keepsake, a place full of wonder … and danger. 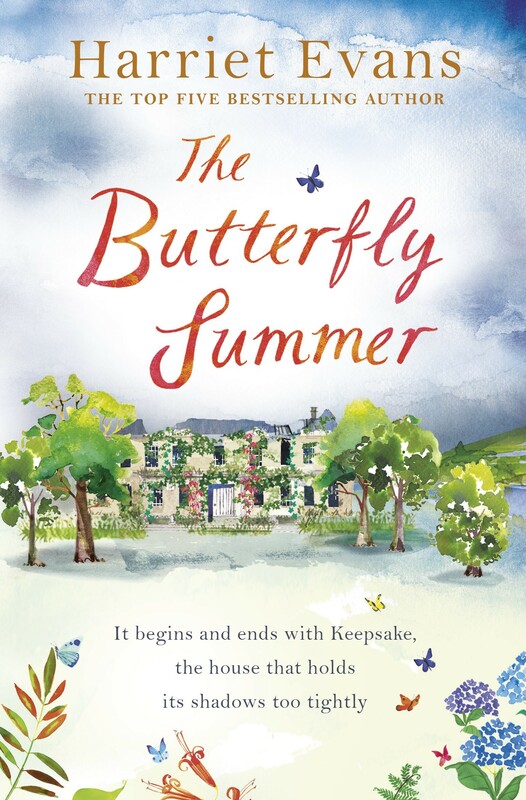 Locked inside the crumbling elegance of its walls lies the story of the Butterfly Summer, a story you’ve been waiting all your life to hear. This house is Nina Parr’s birthright. 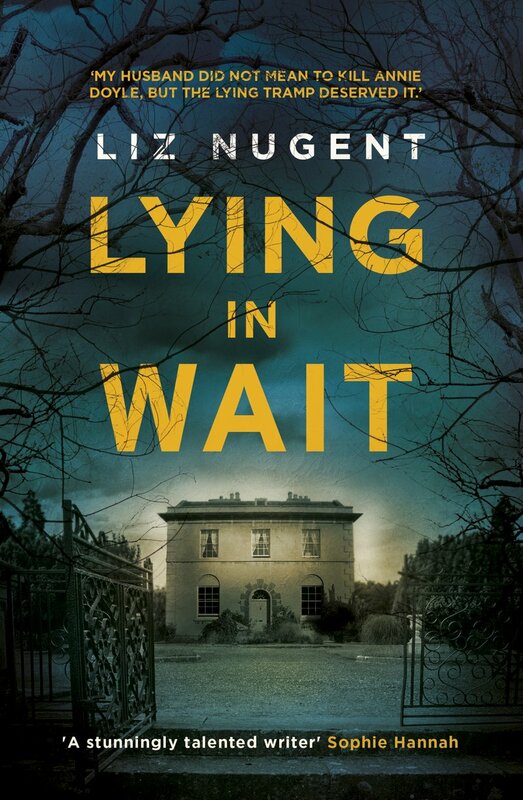 It holds the truth about her family – and a chance to put everything right at last. I’d be interested in your top five Podcasts!